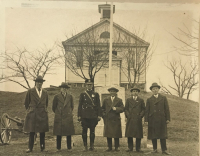 Thanks to a grant from the Historical Society of Bergen County we are pleased to be able to offer some records from our Local History Room on our website for residents to enjoy. Below you will find access to articles, photos and images from various times in the Township's history. 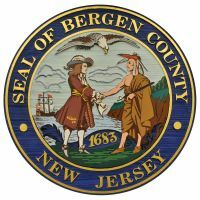 Funding has been made possible in part through grant funds administered by the Bergen County Division of Cultural and Historic Affairs, Department of Parks, through a General Operating Support grant from the New Jersey Historical Commission, a division of the Department of State. In 2001 The Friends of the Township Library began collecting donated items from residents that contained historical significance. The Friends, led by local Historian Cheryl Todd, later opened the Cheryl Todd Local History Room as part of the Library's 2002 renovation. The work done to gather and organize this information cannot be applauded enough. 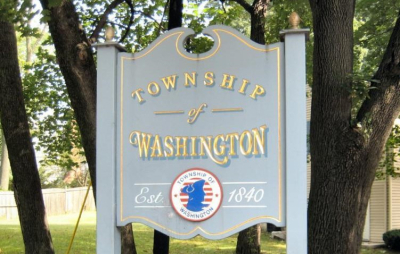 In 2017 the Township Library recieved a Grant from the Bergen County Historical Society to help us make these items more accessible to residents, and those for whom Washington Township will always be home. Click on the link below to be brought to the Local History Digital Archives. The need for a community library was recognized in the early 1960's when the Contemporary Woman's Club formed the Library Association. Its determined members worked hard collecting used books and raising money. Annual carnivals held during this period, staffed by about 250 volunteers, generated a major portion of the funding for the new library. Louise Wiedman, a professional librarian who lived in the Township, was hired for a token $15 per week and she cataloged over 1,700 books in her home. Volunteers all over town typed catalog cards and book pockets. The Library was dedicated on May 17, 1963. Its first home was a 12 foot by 15 foot room in the Road Department garage, where it remained for three years. The furniture consisted of only one small desk and a chair; there was no seating for patrons. The basement of the Municipal Building on Hudson Avenue served as the library's second home for another three years. Trading stamps collected by the residents bought story hour supplies and the Contemporary Woman's Club donated furniture. The basement location presented a number of challenges for the fledgling library. Flooding was a consistent probelm, and the library often had to be closed during periods of prolonged rain. 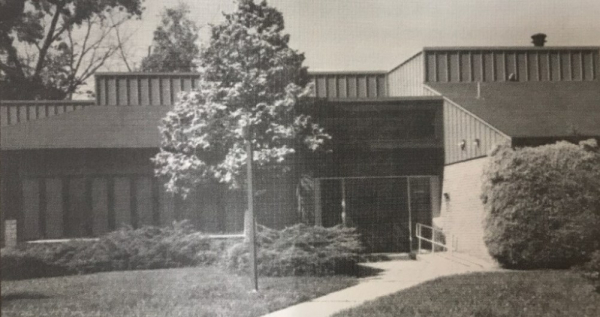 In 1968, the library moved to a store in the Township shopping center, but in 1970 the lease expired, the rent doubled, and the library moved to a smaller location in the rear of the store. "Without libraries what have we? We have no past and no future." The Library Association campaigned for regular annual financial support through municipalization. The first referendum in 1967 failed by seven votes, but a second referendum was successful in 1968. An official Library Board was established in 1969 and the Library Association became the Friends of the Library group. The need for a municipal library building was evident because of increasing rental fees and inadequate facilities. In 1973, the Town Council authorized the purchase of a three acre site on the corner of Westgate and Woodfield Roads for $75,000. The current Library building was dedicated in 1974. In 1979, the library joined the newly formed Bergen County Cooperative Library System (BCCLS) for the purpose of sharing resources with other libraries. The BCCLS reciprocal borrowing program allows Township residents to use hometown library cards in libraries in neighboring towns or have materials from other libraries delivered to the Township of Washington Public Libary. Today over 75 libraries are presently members of BCCLS. The current location of the library on Woodfield Road was renovated in 2012. This renovation improved storage capacity for collections, provided a story time room for Children's Programs, and a large Community Room for Library Programs and events. In 2018, the Library celebrates its 50th year as a municipal library, and its 55th year in existence. A special thanks to the Contemporary Woman's Club for their formation of an Association Library all those years ago. 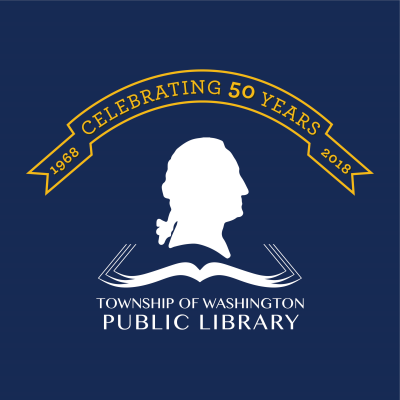 As the Township of Washington Library celebrates it's 50th Anniversary, Washington Community Television (WCTV) offers a tribute with an archival blast from the past. Take a stroll down memory lane with these library-centered programs that were recorded by WCTV volunteers starting more than 30 years ago. This video recaps 25 years of progress from the start of the Library Association in 1963, the Library's Municipaliaction into a Public Library in 1968, and patron expereinces through 1988. Here Mary Higgins Clark, then a resident of the Township, helps us celebrate the 20th Anniversary of the Friends of the Library organization in 1986. If you have items that you would like to donate to the Library's Local History Room, please make sure that any information about the item is written on an index card and submitted to the Reference Librarian. Please call the Library to schedule the drop off of your donation. The library attempts to collect materials that document the history of the Township of Washington. Materials to be collected include: books, maps, pamphlets, periodicals, locally published newsletters, photographs, postcards, diaries, ephemera, and works of art created by or published by Township residents. The library makes no attempt to duplicate an archival collection of public institutional records. For example, old Board of Education minutes already maintained by the Board of Education will not be duplicated. When acquired, current copies of local public documents will be made available as part of the reference collection. 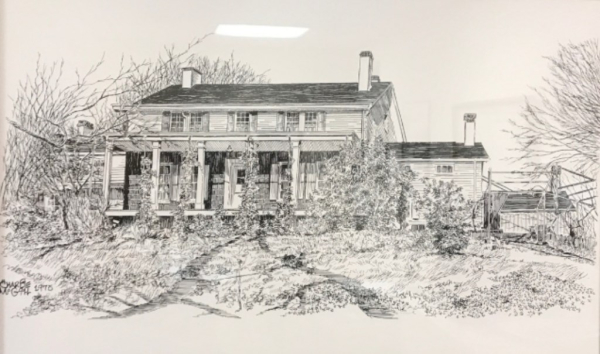 The library will also maintain a vertical file of newspaper clippings and ephemeral items that document the history of the Township of Washington.